Was the 2016 Triple Crown Season Memorable? Home » News » Was the 2016 Triple Crown Season Memorable? Was the 2016 Triple Crown Season Memorable? 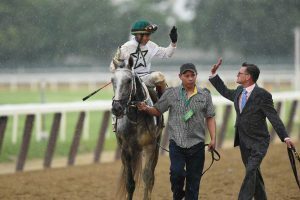 by Reinier Macatangay: WinStar Farm’s Creator won the Belmont Stakes (GI) last weekend after a determined stretch run to defeat Destin. While the Tapit colt received help from his new stablemate Gettysburg on the front end, he seemed to relish the longer distance as well, and jockey Irad Ortiz Jr. rode his mount perfectly to capture the third leg of the Triple Crown. To recap the other two legs, one month ago Reddam Racing’s Nyquist took home the Kentucky Derby (GI) at Churchill Downs with a close-range stalking trip. Despite the grueling pace, Nyquist made a nice move to win. Two weeks later, Derby runner-up Exaggerator had his turn by proving best in the Preakness Stakes (GI) at Pimlico. Immediately following the race, the NYRA attempted to market the Belmont as “Nyquist vs. Exaggerator,” but Nyquist became sick with a fever and returned to California, preventing the matchup from occurring. In short, although each performance was excellent on its own, no true standout emerged and an exciting rivalry failed to continue in the third leg. Still, there were memorable stories and horses to the series. Megan Devine, one of the more enjoyable on-air personalities for TVG and NBC Sports, offered her thoughts. In 2012, trainer Doug O’Neill, Reddam Racing, and struggling jockey Mario Gutierrez won two-thirds of the Triple Crown with I’ll Have Another, before an injury forced the colt out of the Belmont and ended his bid at history. For the same team to win the race four years later was a great accomplishment and one each will cherish. In contrast, Exaggerator brought two storylines which were different than what the Nyquist team gave fans. Before the Derby, Kent Desormeaux told the press he was riding for his brother, who trains Exaggerator. “I am going to be riding for Keith. I really will be, honest to God and he knows it,” he said. Also, Desormeaux was in the midst of improving his health. The talented jockey battled alcohol demons in recent years, and recently checked into rehab before returning to pilot Exaggerator for the Belmont. As for Steve Asmussen, in 2014 his stable was the subject of an undercover story posted online by PETA. 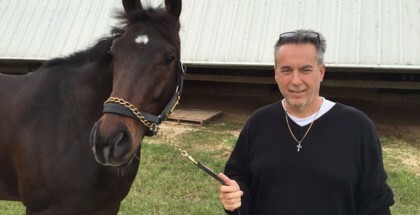 At first, he lost his shot at the Hall of Fame, but the Kentucky Horse Racing Commission cleared Asmussen and his assistant Scott Blasi of any wrongdoing and now the industry looks upon them in a positive light again. Creator’s Belmont win symbolizes the turnaround and keeps the momentum going into the summer. Before closing her thoughts, Devine mentioned the most popular loser of the Triple Crown series. Indeed, Japan’s Lani remained one of the most popular horses throughout the three races. His origin inspired many incredible images of Lani in epic battles with various Japanese-inspired monsters. To the surprise of non-believers, Lani also proved his ability to run with the best horses (at Belmont Park at least). A few people were eager to compare the winner of each race to American Pharoah, the Triple Crown champion from last year. The Bob Baffert-trained runner won all three legs for the first sweep since 1978. Longtime racing fans understand the rarity of American Pharoah’s feat, and appreciate the season even without a standout. For connections, it is difficult to find a special horse who can dominate on a consistent basis. “Everybody wants to be like American Pharoah but that’s not the way it is,” (Keith) Desormeaux said. 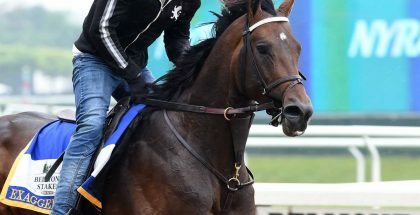 Not every year can give the same storyline, nor would it be necessarily good for racing if the challenge of winning Triple Crown races became so easy. This Triple Crown series brought the racing world Nyquist, Exaggerator and Creator, as well as more than one compelling human interest storyline and a crazy Japanese horse named Lani. To those racing fans who feel unsatisfied, then, wait until next spring.